Business owners across the country have been dealing with one of the longest and most difficult recessions in US history. It's put a strain on business budgets, personnel, and consumer pocketbooks. Very few have been untouched by these difficult economic times. But Americans have a knack for overcoming and surviving adversity. Americans like Zane Tankel. Our employees have to know the menu and be able to deliver dependable, friendly service-no exceptions. We also try to suss out the likelihood that job candidates will be a good fit in our overall organization. It is academic how competent people are if they can't get along with their peers, direct reports, or supervisors. Résumés are standard, but given the cottage industry of professional résumé writers, that document has become less reliable. Interviews are more critical. Management-level candidates must survive an extra level of scrutiny. Batrus Hollweg, an international testing organization, offers ways to measure aptitude and to model potential success in our specific environment. There is an added expense to this testing but, it is well worth the investment. In troubled times, revisit your lease and renegotiate. You should look for deals that may not have been priced appropriately the first time around. Also, look for new deals at more competitive rates. At Apple-Metro we believe in always pushing forward as an every day key practice, not just a practice during hard times. At the moment we have 6 deals on the table for development and are continuing to look for more. As you battle through the hard times of the economy, look beyond the clouds and into the horizon. Analyze your product and the value of it to invest in the future. At Apple-Metro, we know people love to go out to eat in a comfortable, friendly environment that can provide a great product as well as service at a conscious price point. 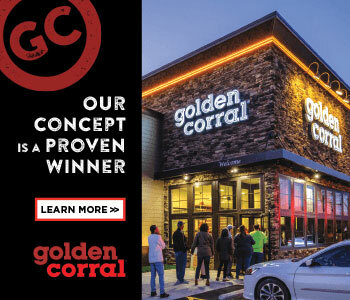 With longer-term goals in mind, we look to refit our restaurants where appropriate so we maintain a comfortable setting with the product our customers rely upon from Applebee's. It's an investment that solidifies our customer base and sustains us regardless of the economic climate. Businesses are only as strong as the executives who run them and the support staff who keep them moving. It is important to create a stable, healthy environment that characterizes your business. For example, Apple-Metro is always quick to award hard working and dedicated employees with incentives such as: cruises to Bermuda with their spouses and an automobile lease program for managers. This is important to keep enthusiasm and dedication to the company high while reducing turnover rates. A franchisee generally does not have a voice in how its marketing dollars are allocated by the parent franchisor. That's why franchisees need to take an active roll in the process. One way: Participate in franchise councils. We campaigned for and now hold seats on three of them, including Franchise Business, Franchise Kitchen, and Franchise Marketing Councils. Waterless urinals: These cut our water bills by saving us 40,000 gallons of water per year. LED lights: Replacing all recessed and track lighting fixtures with LED reduced our restaurant's KWHs by 88 percent. On-demand (tankless) hot water heaters: They're 84 percent more energy efficient. There are three ways to learn: introspection, copying/mimicking, and good old-fashioned trial and error. We didn't serve breakfast for years-it wasn't part of our corporate mix or core business-but given high rents in Manhattan, we needed to revisit our model and squeeze the most out of the box on which we pay rent 24/7. To retool for the breakfast crowd, we had to tweak our service cues, work out staff scheduling, and refine the menu offerings. Franchisers have standards for approved vendors. We go beyond those standards and do separate audits of financial stability, delivery competencies, and the like. Also, never put all your eggs, as they say, in one basket. If one vendor can't deliver, make sure you have another-perhaps in a different location-lined up in a pinch. Our managers are expected to watch a number of metrics on a daily basis. Food, liquor, and labor costs are the basics. Managing those means that you are running a tight ship and delivering good service-which means that revenue will follow. Cash flow and EBITDA also are reviewed by restaurant on a weekly basis, as well as other data points, including guest feedback, internal operational performance inspections, city health inspections, and staff turnover. Our steering committee meets once a week. At the beginning of each meeting, one of us will read aloud our mission statement and strategic initiatives for the current year as a reminder to maintain our focus.